A press conference for the upcoming Hindi movie “Haider” was held at Grand Hyatt Dubai on Tuesday, September 23rd. The event was presented by RJ' Mohit and RJ Vikrant from Radio Mirchi, and kicked off at around 3 pm. Sitting at the head of the conference table was Shahid Kapoor and Shraddha Kapoor, the main casts from the movie. Shahid plays the role of Haider, the main protagonist of the movie, while Shraddha portrays Arshia, a journalist and Haider’s love interest. The film is directed by Vishal Bhardwaj and co-written by Vishal and Basharat Peer. It is a modern-day adaptation of William Shakespeare's Hamlet, set in Kashmir. Playing Haider was the most unique role he had ever gotten, stating that he enjoys taking risks in acting and portraying distinctive characters and trying his hardest to bring them out and make them stand out as much as possible. Shahid was not the only one who found his character complex. Even Shraddha piped in, saying that it was very different to play as Arshia, especially working under a new crew for the first time. When asked if it was intense during the shoot, Shahid chuckled and said that it felt like he got thrown into the deep sea without knowing how to swim, while Shraddha chimed in and said she was his life jacket. 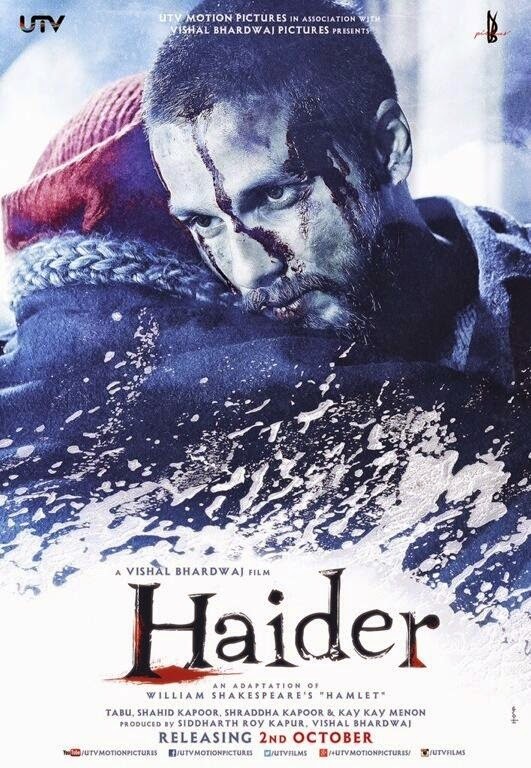 The film, Haider is scheduled for release on 2 October, 2014. The writer is a postgraduate Media & Communication student specializing in Journalism.